This story appeared in the Spring 2009 issue of Texoma Living! Magazine. Exclusive Report: Why she left Channel 12 after 11 years and how she ended up on Channel 10. It was Wednesday, December 3. 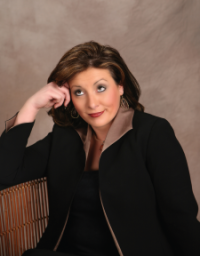 The day before had been an anniversary of sorts, eleven years to the day since Lisanne Anderson had gone to work at Channel 12, KXII-TV in Sherman. 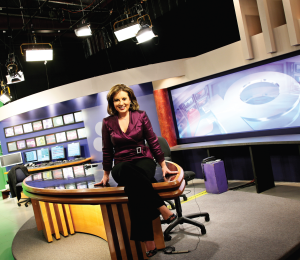 During those eleven years, first in the prestige slot as the co-anchor of the news at six and ten and for the last three years, at her request, as the anchor of the morning show, Anderson had become the most recognizable personality on Texoma television. She had been off for Thanksgiving and had worked the day after. She took a holiday on Monday, stayed home with a sick daughter on Tuesday and went back to work on Wednesday. Her three-year employment contract with the station had run its course on December 2, so she was, to put it in proper legalese, an employee at will—she could quit or be discharged without cause—when she set about preparing for the morning show. Like the other news people, Anderson worked at a desk in the newsroom. From the end of the morning show until she did the last cut in, she worked on the next day’s morning lineup and made assignments to the reporters. When she went back to the newsroom at nine, there was a message from the evening before on her desk telephone asking her to come to the conference room for a meeting with General Manager Rick Dean. Anderson walked down the hall, meeting Dean at the conference room door. They exchanged greetings and went in. The station’s human resources manager and Charlie Haldeman, the station’s news director, were already in the room. Their presence was unusual. They had not been involved in contract negotiations before, but Anderson’s only thought was that Dean would say they could not give her a raise and that he had invited the others for support. She could not have been more wrong. “He kept saying the same things over and over. ‘It’s corporate wide…you’re not the only one…there are other people who have been here longer than you have,’ adding that the timing, the day after my contract had expired, was just ironic.” The other two people in the room said nothing. “Charlie didn’t even look at me,” Anderson said. Reporters get used to the shock of unpleasant situations. They see them, they hear about them and then they go back and write about them. They learn to separate their own feelings from their stories so they can judge the facts fairly, not without compassion to be sure, but objectively. “I said, ‘You got it.’ I didn’t cry. I think I got a little misty eyed there at the end, but I didn’t cry.” And then it overwhelmed her. Anderson walked into the newsroom where it was business as usual. No one knew what was happening. No one turned around. She picked up her purse, some clothes and her makeup kit and walked back down the hall and out the door, escorted all the way to her car by her temporary shadow. Eleven years had been closed out in twenty minutes. UCO had a student-run television station called UCentral, which provided news and music shows for the campus and was carried by the local cable company. When the teacher mentioned the station, Anderson was quick to accept. It promised to be more interesting than her part-time job selling jeans at the mall. The news director didn’t think Anderson was quite ready for more—“Looking back, I see what she was trying to do. She was trying to mold me”—but youth will be served, and when a friend in Sherman told Anderson that KXII was looking for a main anchor, she did what a lot of people in a hurry and on the go have done for 175 years. She picked up and went to Texas. Oh, yes, she got the job. She was twenty-three and on a roll. It helps to be a multi-tasker in small market television. The on-air people do more than just show up and read the news. They also research, report, write and produce. Even the most visible of the news staff, the principal anchors, do a little bit of it all. Producing short news pieces is a quick-fix high for a person with a creative bent. Most stories are done in a hurry, on tight, unforgiving deadlines. Broadcast journalism is “now or never,” and mistakes are very public indeed. That always hovering element of danger, embarrassment really, can be electric, and pulling it off, finding a way to bring something fresh to a piece, even if the innovation escapes most of the viewers, can be very rewarding. The feature producer has different challenges. Like a good print editor, a television producer gathers the diverse elements of the story and arranges them in a way that will entertain as well as inform the audience. She assembles the whole from the parts. 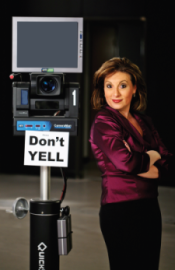 Anderson wrote, produced and reported a lot of stories during eleven years on Channel 12, but one in particular stands out in her mind. “I know exactly what it was,” she said. With that line, she laughed. She has an easy laugh, big and bold and quick, that suggests that she is not particularly taken with herself. She takes what she does most seriously, however, and when asked what she wants to do that she hasn’t done yet, she can’t quite pin down a specific. Napoleon’s insight on ambition was that every soldier should carry a marshal’s baton in his pack. Just as surely, young news reporters looking earnestly into the camera to report on city council meetings probably see a network anchor desk in the penumbra of the key lights above their heads. “Erased in a matter of minutes,” says a lot, but it was more than that. In the Soviet Union, when Nikita Khrushchev fell from grace, he was not only lost his job, he became a non person. Overnight his pictures came down, his name was removed from signs and directories and his page in the Great Soviet Encyclopedia was torn out. As far as officialdom was concerned, he was not just gone, he never was. Lisanne Anderson got much the same treatment from KXII. All references to her immediately disappeared from the station’s website, and when viewers called to find out what had happened to her and where she was, they were told only, “She no longer works here.” The station even took the plaques and awards with Anderson’s name on them off the wall and sent them to her house. As far as Channel 12 was concerned, she was not just gone, she never was. On the same day Anderson left the station, an e-mail arrived at several local media outlets suggesting that the layoffs were fallout from a variety of problems at both the local station and KXII’s corporate owner, Gray Television of Atlanta. The sender mentioned several rumors already floating around about Anderson and the layoffs and included web links to outside stories detailing recent financial difficulties at the parent company. The sender finished with “I am a station insider and wish to remain anonymous for fear of losing my job as well.” A return e-mail from Texoma Living! asking for a meeting with the sender went unanswered, as did a hand-delivered letter to General Manager Rick Dean asking to talk with a station representative. 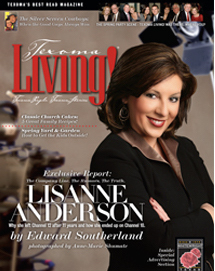 Several weeks later, following two interviews with Anderson, Texoma Living! got a telephone call from a source who worked at the station and who wanted to talk. A meeting was arranged for the next day. “I’m here in the interests of the station,” said the source. “We got the letter, the managers talked about it, and they sent me. That’s all I know. I was there. There were company-wide layoffs. Not all of us in the media are going to keep our jobs. We had to downsize our staff. Five people were laid off, and she happened to be one of them. It wasn’t for improper conduct or anything like that. It was a business move. Her contract was up. After the word got out of Anderson’s departure, the rumors started flying. On the City of Sherman’s Internet forum, “Topix,” and the Herald-Democrat’s website, people speculated about what had happened. Speculations included that perhaps Anderson had been in an on-air fight with a reporter, to having used inappropriate language on camera. One rumor had her making off with the money raised for “Toys for Tots.” The public’s exercises in imagination proved once again that a total lack of knowledge is no bar to seriously silly speculation. But putting the wild rumors and unsupported guesses aside, there is truth in the idea that there were tensions in the Channel 12 news room, at least over the past couple of years. “Matt Brown used to be the news director, and I thought those were the glory days of Channel 12,” said the source. “We had some of the highest ratings we’ve ever had. He and Lisanne were considered one of the top news teams in our whole region. They were very well thought of.” Then Brown left the station and things changed. But that was not how some saw the change of leadership. There is an old law school stunt where the professor has someone burst into an evidence class, run screaming around the room and then beat a hasty retreat. Immediately, the teacher has each of the students write down what happened. If there are twenty students, there will be twenty different versions of the event. It is a matter of perspective and a subtle lesson on the vagaries of perception. But as time went on, the “right ons” became scarce. “The last few months she was there, she and the news director were not on speaking terms,” said the source. Sometimes business and professional relationships end like love affairs that have gone sour. The good things that were so obvious in the beginning get lost in the confusion and acrimony of the end. Channel 12 has dominated the Texoma television market for years, and Lisanne Anderson’s contributions to that dominance have been substantial. But because both parties chose to remain close-mouthed about the events until now, rumors, speculation and gossip have had a good run. 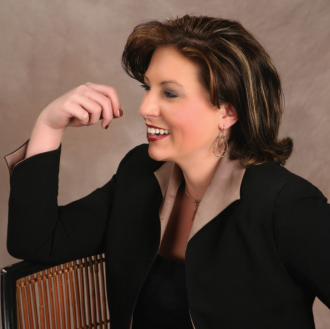 Lisanne Anderson’s estrangement from Texoma TV audiences was short-lived indeed. Seven and a half hours after she was escorted out of KXII, the telephone rang in her Oklahoma home. KTEN-TV, her long time rival, was calling. And what did they say? “They asked, ‘What do you want?’” said Anderson with a laugh. It took a couple of months to iron out the details, but two months after she disappeared from the public eye, two months after she became a non person, she was back. Nikita Khrushchev would have been envious. Know this is old stuff.. but was remember the past watching kxii news. People who have come and gone. Glad i looked this up. Rumor I heard was Lisanne Anderson made a racist remark so KXII-TV fired her. All the years believing a rumor nice to know the truth now. employee of many years, the next moment I was a non-person but, of course, I was never as visible as was Ms. Anderson. I was “invited” to the conference room and departing as an ex-employee. Gray bought the station and the family friendly atmosphere vanished. In retrospect the station did Ms. Anderson (and me) a favor with no intent to do so. That’s how “cut throat” the TV business is these days. I enjoyed watching Lisanne and I missed her. Imagine my surprise when I accidently got KTEN and found Lisanne. Happy day! My only complaint with the news stations was too much coverage in Oklahoma. My cousin who lived in Ardmore made the same comment. I wish you well, Lisanne. Carole Stubsten of Lake Bonham spent the first part of her life doing things for other people. As a wife and mother, she ran a house and raised three children; as a volunteer, she devoted uncounted hours to others.A few years ago, she decided it was her turn, so she made a list of places to go and things to do and see. Making like Indiana Jones was not on the list.